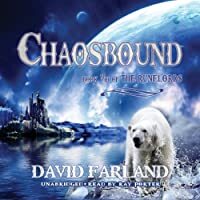 This story picks up after the events of The Wyrmling Horde and follows two of Farland's well-known heroes, Borenson and Myrrima, on a quest to save their devastated land and the people of the new world from certain destruction. But the land is not the only thing that has been altered forever: in the change, Borenson has merged with a mighty and monstrous creature from the other world, Aath Ulber. He begins to be a different person, a berserker warrior, as well as having a huge new body because of the transformation of worlds. Thousands have died, lands have sunk below the sea and, elsewhere, risen from it. The supernatural rulers of the world are part of a universal evil, yet play a Byzantine game of dark power politics among themselves. And Aarth Ulber is now the most significant pawn in that game.